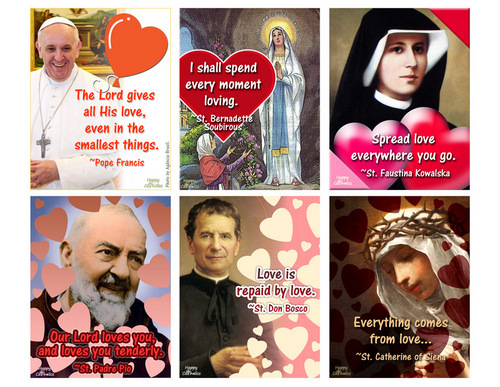 Our Catholic Quotables Valentines set is available as a FREE printable. Just click on the image to download a PDF version of the set of 6 Valentines that you can cut apart and share. Would you like to send an eCard instead? Individual eCards are available for free here.